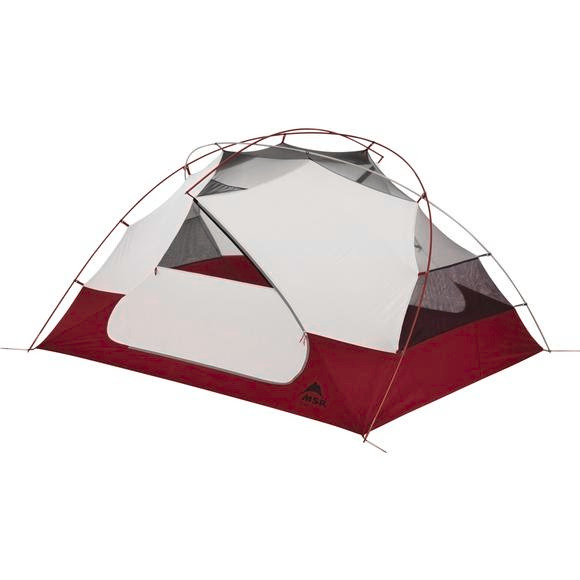 With all the features you expect from MSR, the freestanding Elixir 3 tent offers campers and backpackers an extremely livable backpacking tent at a great value. The tent design provides plenty of headroom and space for three full-size adults and their mats, two large doors for easy entry, and new larger vestibules with 35% more storage space. With all the features you expect from MSR, the freestanding Elixir 3 tent offers campers and backpackers an extremely livable backpacking tent at a great value. The tent design provides plenty of headroom and space for three full-size adults and their mats, two large doors for easy entry, and new larger vestibules with 35% more storage space. Balancing breathable mesh fabric with solid canopy fabric, the 3-season Elixir 3 tent provides ventilation, warmth and privacy, while the included footprint offers multiple setup options, including a freestanding Fast and Light pitch with rainfly. Stuffed Size 20" x 8"